Electrical defects can result in shock, injury and fires. 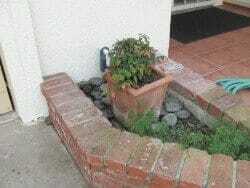 The good news is that most electrical defects can be corrected without spending a fortune. Some of the defects can be corrected by the home owner, the buyer or a handyman; others should have an electrician correct. 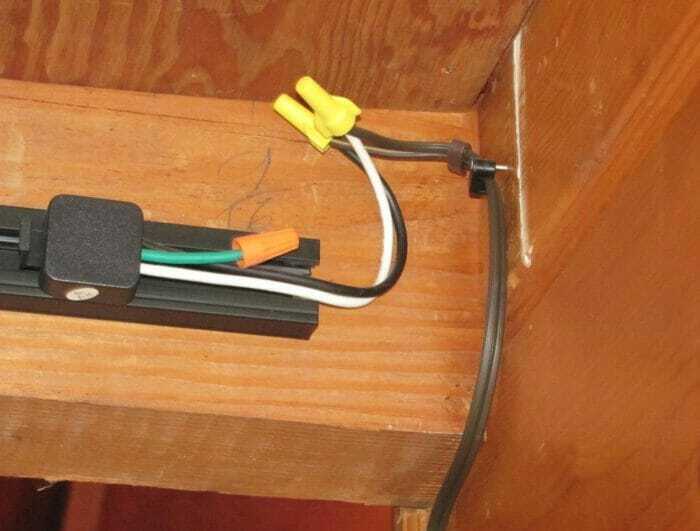 Double tapping is basically two or more “hot” wires running to one circuit breaker. By “hot’ we are referring to energized wires, ones that can shock you. Outlets with reverse polarity cannot be identified by just looking at them. Generally a small electrical tester is used to determine if an outlet has reverse polarity. These testers are usually around $7 to $12 dollars at local home improvement stores. Ungrounded outlets are a safety concern and under some circumstances a person can be shocked when using an ungrounded outlet. 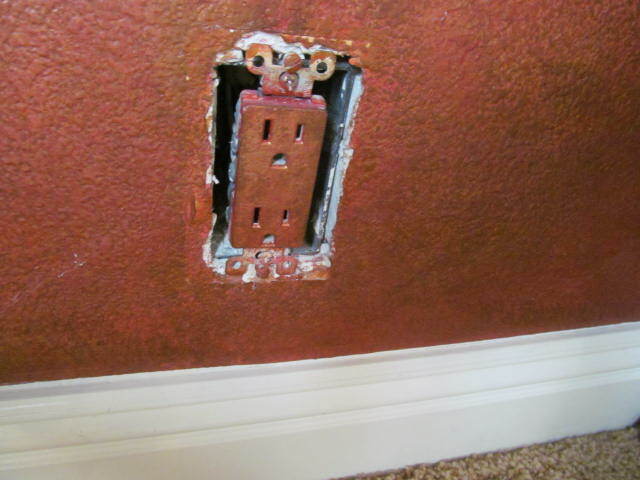 Inspectors generally recommend that any outlet with paint on it be replaced. One reason for this is that if paint (or even drywall mud) has gotten into the slots, then this may cause overheating and a fire. 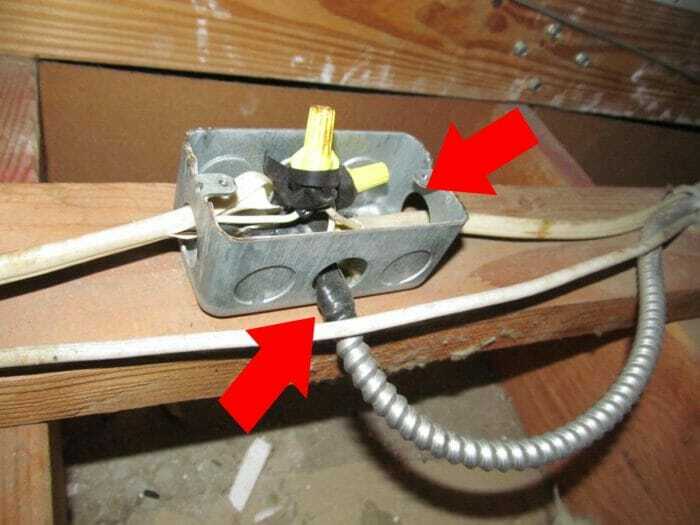 Exposed wiring or splices are called out by home inspectors for a number of reasons. One, is that exposed wiring is a safety concern in some locations and may be subject to mechanical damage. 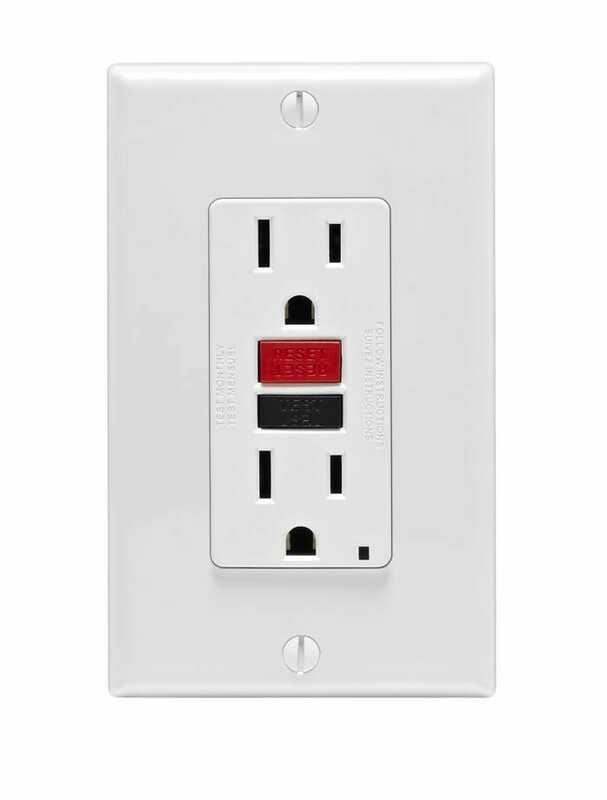 GFCI outlets are great safety devices and save many lives from electrical shock. The outlets will trip immediately if a slight imbalance of current is noted. GFCI”s can react as quickly as one-thirtieth of a second, much faster than a standard circuit breaker. 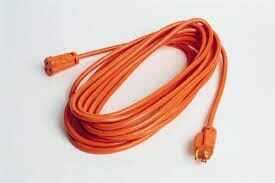 One of the more overlooked issues is the use of extension cords around the home. The fire department can tell you that many house fires and injuries result from extension cords. You would be surprised at the number. Any device (light, appliance, etc.) that is not temporary should not have an extension cord running to it. This includes the use of an extension cord running to a garage door opener. Another concern is that extension cords often get overloaded, like at Christmas time. Electrical panels have basically two types of knockouts. One is rectangular in shape and the other is round. 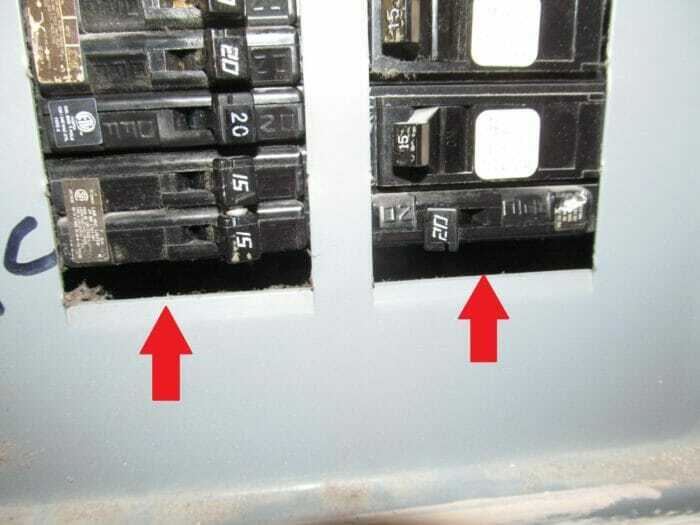 When you open the door of an electrical panel there may be a slender rectangular piece missing. 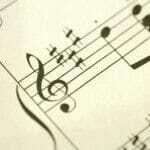 One where you could stick your finger in; about a ½ inch wide and 2 ½ inches long. 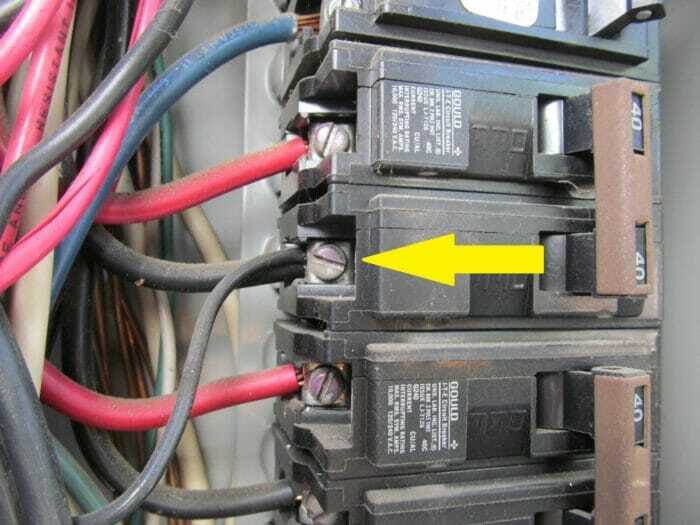 Inspectors often find two or more neutral wires placed into one slot or hole in the neutral bar of an electrical panel. 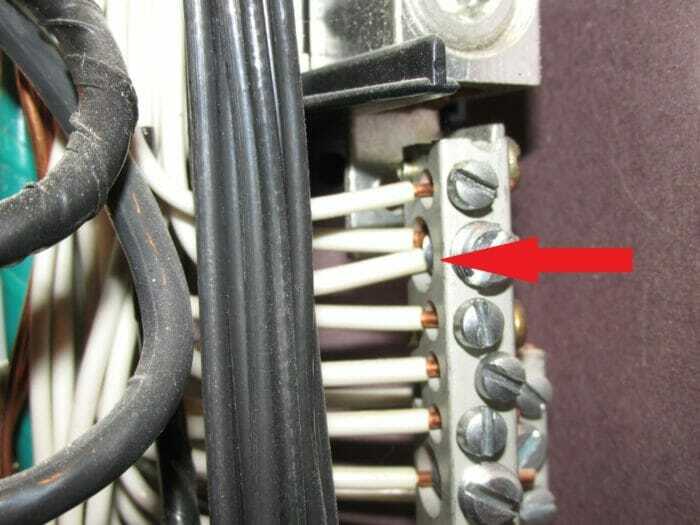 Generally this does not create a problem, however, if the set screw does not firmly hold the wires tight then over time “connection creep” may occur. 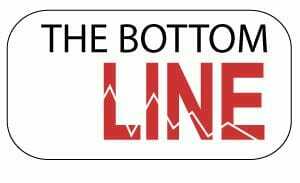 Once in a blue moon, one wire may slip out resulting in an open neutral. 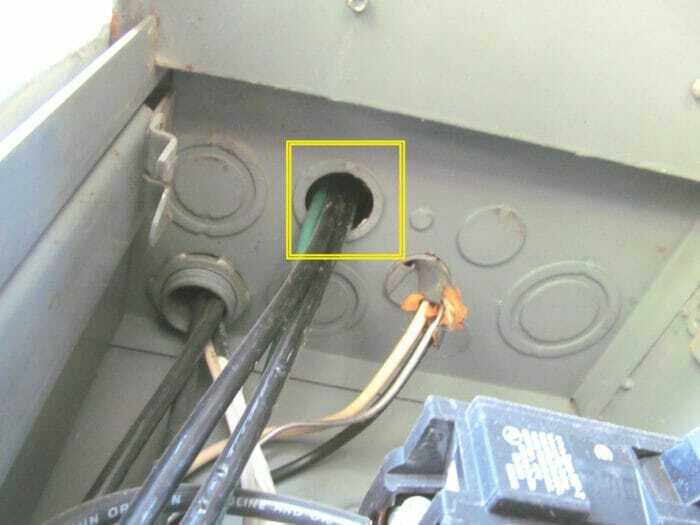 Wires that are exposed to sharp metal edges in panels and junction boxes may have damage to the insulation cover of the wire. There should be a proper bushing or wire clamp holding or protecting the wires from the sharp metal edges. 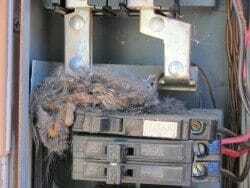 Electrical issues can be serious and should not be ignored. A good home inspector will identify most of the defects that should be fixed and an electrician can normally correct the majority of them quickly and inexpensively.